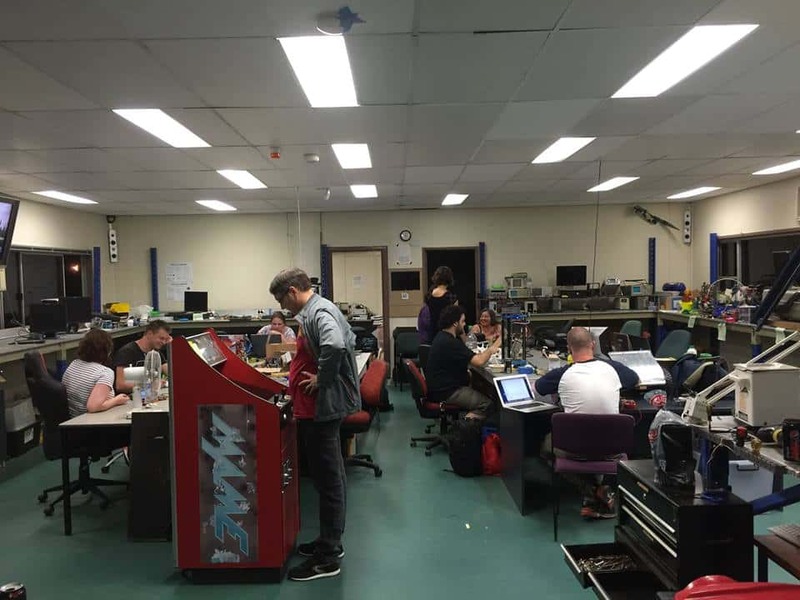 The green room at HSBNE is a central space for hacking and electronics work. Science Hack Day Brisbane is getting closer! We’ll be at HSBNE on March 17-18 and so it’s time to start thinking about whether you can make it and how you’d like to be involved. You can now sign up to attend (free!) via Eventbrite. Next Tuesday evening (Jan 23) we’ll be visiting the HSBNE site and making some plans. For those of you who haven’t seen it, check it out at http://hsbne.org/thespace.html. You’re welcome to come along and see for yourself, but drop me a note at physicsdavid@gmail.com so I can let you know if the time changes for some reason. Otherwise, stay up to date with our plans by signing up to get our occasional email. If you are planning on coming, feel free to leave a comment letting us know what sort of thing you’d be interested in doing at SHD or whether you’re just interested. You can also always ask me questions directly!